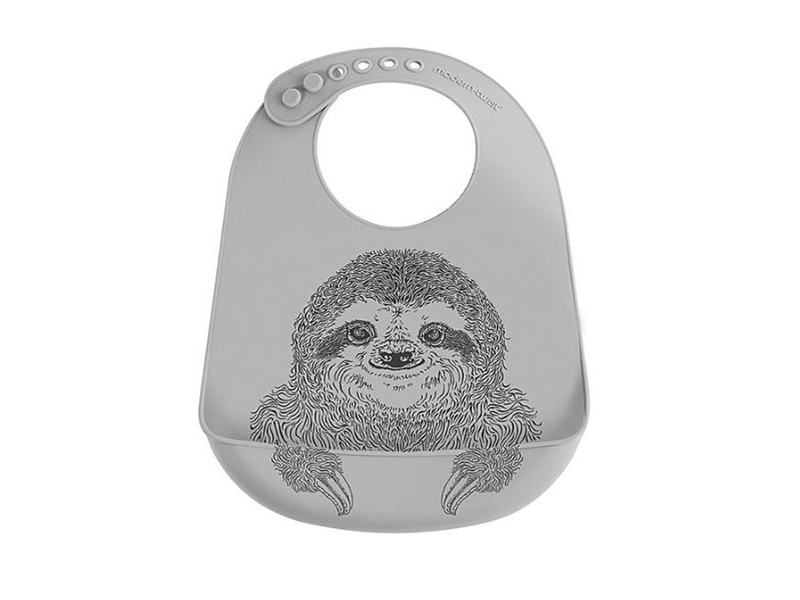 Check out this cute adjustable silly smiling sloth bucket bib. If you are someone who appreciates adorable animals such as the sloth you are sure to love it. An adorable gift idea for a baby shower because it is so fun and so unique. The color of the bib means it is a great gift for a baby boy or a baby girl. This make is a great idea for a baby shower as parents often do not know the gender of their child in advance. You can use it over and over and it will outlast other bibs because it is so durable and easy to clean. It is heat resistant up to 250 degrees celsius. 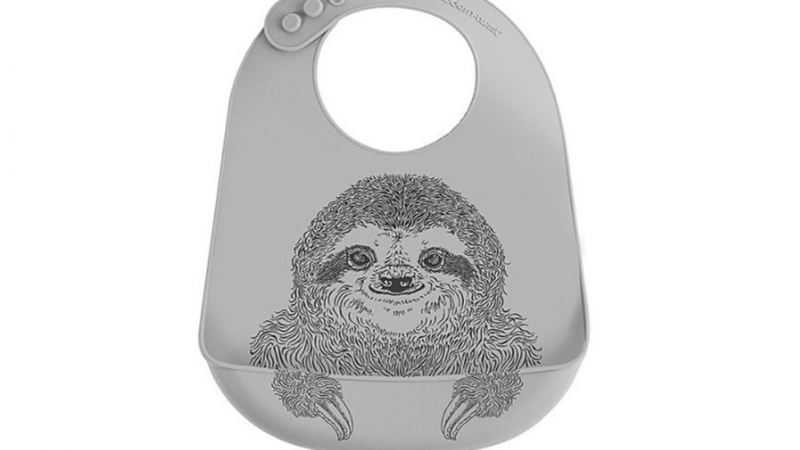 The bib is soft and comfortable for baby to wear. It is designed to be adjustable so that it can fit firmly and comfortable while keeping baby clean. It will catch any crumbs or drips because of the handy bucket style bottom. This is great because when your child it learning to eat it can be a messy experience! The bib will contain any mess in a way that is much easier to clean. This bib is entirely plastic free as it is made from silicone. It is well know that plastic is not great for the environment so this is a plus.